Another Summer, Another Food Crisis? Corn prices peaked during the run up to the 2008 economic crisis at $7.88 per bushel and as the prices of corn and other commodities rose we saw food riots worldwide. 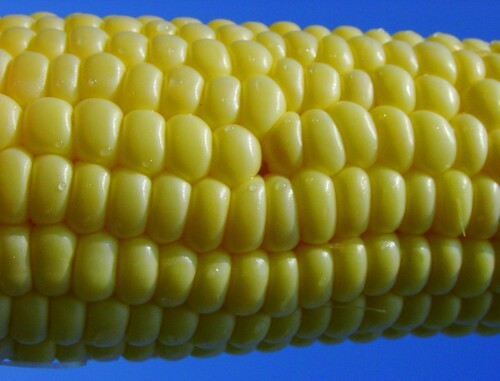 Commodity prices soon came back the earth -- corn is currently trading at about $4 a barrel. Given that we're in the middle of an anemic recovery, you'd think spiking food prices are thankfully the last thing we have to worry about. Not so, say a pair of economists from University of Illinois (via Phil Brasher of the Des Moines Register). In an analysis of past growing seasons, they suggest that commodity corn prices could reach $7 by summer. The reason for the potential coming price spike? Would you believe ethanol? Scott Irwin and Darrel Good modeled a good- and poor- scenario based on the five best and worst growing seasons since 1960 in the main corn-growing states. They then came up with average yields that could range from 134.5 to 172.5 bushels per acre. Because of the national biofuels mandates, which guarantee that a certain percentage of the corn crop will go into making ethanol, the average farmgate price of corn could be near $5.75 per bushel while daily highs in the cash price could reach the $7 level that occurred during the marketing year for the 2007 crop, the economists found. Right now, the ethanol mandate is forcing us to take almost a third of the US corn harvest and burn it in our cars' fuel tanks. And unlike the economic bubble which helped power the last rise in commodities prices, the ethanol bubble still shows no sign of bursting. For better or for worse (well, okay, for worse) a significant chunk of the US food system relies on a low price of corn. If we don't lose our infatuation with food-for-fuel soon, we may be seeing a new plateau for commodity prices at what we used to consider crisis levels. And that ain't good. Clearly, the administration's continued embrace of biofuels is looking plain idiotic at the moment. Sure, these economists' may turn out to be wrong, but if they're not we'll all pay the price -- literally. The economists go on to suggest that policy makers prepare now for the possibility of price spikes. That they would do so is highly unlikely, however. If the USDA cared about price volitility, it would support re-instituting a grain reserve. With a reserve, the government buys grain from farmers when prices are low and sells it back into the market when prices are high. One elegant aspect of a grain reserve is that it's a deficit-neutral -- in fact a cost neutral -- way of subsidizing farmers since the government is practicing the ultimate investing strategy of "buy low, sell high." Too bad USDA Chief Tom Vilsack (along with the entire food industry) is on the record opposing -- after all, its goal is to stabilize prices at reasonable levels. Did I mention that the US food system relies on cheap corn? I wonder if they have a Plan B. One option is hemp. At 1-3 metric tons of straw per acre at 70-80% cellulose you are looking at .7-2.4 metric tons of cellulose per acre! In addition, the fibre around the cellulose is good for any short fiber textile (paper, ect). And then the is the seed. At 800 pounds per acre and roughly $0.7 per pound, the seeds alone pay more then the cost of growing the crop! Also, while it requires a lot of fertility up front, consider it a loan because up to 70% comes back to you when the leaves fall off the plants. Also, they kill off and out compete most weeds, so two years of hemp on a particularly troubled feild and your troubles are gone, thus reducing the pesticide costs. Hemp has one major predetor, the corn borer. So, why is hemp not in every field in north America? Ask your local polititian. It is "legal" here in Canada. But even with that there are hoops that just don't exist for other crops. seed for fodder, unshelled for humans). No loss on food, but gain in fuel. Can the USDA Really Fight Industry Consolidation? Heirloom Apples to the Rescue! Who Needs Clean Water Anyway? Is there too much 'Let's Hope' in 'Let's Move'?